Dear brothers and sisters in Christ, after going through five weeks and more of the season of Lent, a time of preparation and rediscovery of our faith, we finally come to the beginning of the Holy Week, when we celebrate the most important moments and mysteries of our faith, commemorating that very moment when salvation came into our midst, through none other than Our Lord Jesus Christ, Son of God and Saviour of all. Christ was the Saviour promised by God to all His people, the culmination of the grand plan He has revealed to man, ever since the beginning of time, when man first fell into sin and because of that, sundered from the fullness of God’s love and grace. And God fulfilled His promises perfectly and completely in Christ, the One He sent into this world, bringing the salvation and true hope into our midst, that we may all be saved. And this Holy Week, we enter into the most crucial moment in all the history of the whole world and our whole existence, the moment when God completed His plan of salvation, by none other than the Passion, suffering and death of His own Son, Jesus Christ, on the cross. And on this Palm Sunday, the day that marks the beginning of Holy Week, we enter and immerse ourselves into the very important events that mark that moment of our salvation through Christ. On this day, we heard from the readings of the Scripture, two very opposing and contradictory accounts, of what happened on the actual day when the Lord Jesus entered the city of Jerusalem in glory, which we commemorate with the blessing of palms and procession on this day, with the account of the suffering and death, the crucifixion of the same Lord Jesus on the cross, which happened just merely a few days apart. In the Gospel passage which related to us what happened when the Lord Jesus came to Jerusalem for the time of the Passover, we heard how the people gathered to welcome the Lord Jesus as if He was a glorious and conquering King, entering the city of His reign, with palms raised and garments spread along the way on which He would enter on a donkey, as prophesied by the prophets. This event reminded us all that indeed, Jesus Christ is our Lord and King, the One Who has been promised to us, as our one and true Master. But His kingship is not like any other kingship. He Himself mentioned on a few occasions throughout the accounts of the Gospels on the events of the Holy Week. He mentioned before His disciples, when they wanted to defend Him as He was being betrayed by Judas Iscariot and was about to be arrested, that had His heavenly Father wished it, He could have sent legions of Angels to protect Him. And before Pilate, Jesus Himself said that His kingdom was not of this world. And this is why, many of the people abandoned Him, betrayed Him and rejected Him. And do we all realise that it was the very same people who welcomed, praised, glorified and sung ‘Hosanna! Hosanna to the Son of David!’ that just a few days later cried out before Pilate, ‘Crucify Him! Crucify Him!’ and ‘We have no king but Caesar?’. This is because many among them did not have true faith in God, but were following their own selfish, wicked and sinful desires. Some certainly followed the Lord to be famous, while others misunderstood and thought of Christ and His kingdom as one like of this world, and therefore, hoped to gain popularity, power, prestige, and all sorts of other worldly recognitions and pleasures, as what two of His own disciples showed us, when St. James and St. John, the sons of Zebedee came up to Him with their mother asking for special favours over that of the other disciples. And the others had various other reasons, many of whom were motivated by the desire of self-advancement, self-praise, self-gratification and other forms of worldly desires, that indeed quickly turned from one of apparent faith and dedication, into one of betrayal, as Judas did, and into apathy and lack of conviction to defend their faith, as what many of the people did, easily following the popular sentiment, of what was first the popularity of Christ in acclaiming Him as King and then condemning Him when the tide of events turned against Him. Even Christ’s own disciples fled in fear and abandoned Him. And in the accounts, we heard how this King of ours, the King of Kings and Lord of Lords, turned from complete glory into utter humiliation, that He was not just stripped from His dignity as even a human person, but even treated in the worst manner possible, and made to suffer the worst of the worst of injustices and treated as the worst and lowliest of criminals for sins and mistakes He did not commit. Now, brothers and sisters in Christ, before we continue further, we ought to spend some time now to reflect on our own lives, on our own actions, on our own faith in God, on our own way of following the Lord and how we have lived our faith life all these while, especially as Christians, as those who profess to have faith in God. And we ought to remember that we are truly perhaps, just as terrible as those same people whom we just talked about earlier, all those who betrayed, abandoned and left the Lord behind for our own selfish desires, gain and purposes. Many of us seek the Lord only to feel good and high, and perhaps seeking that spiritual satisfaction and fulfilment, or any other means to satisfy ourselves and to make ourselves feel good. And we often only remember the Lord when we have a vested interest, a desire that we want Him to fulfil, in our wishes and prayers, that when all those things have been fulfilled, or in the case when they were not fulfilled, we left the Lord behind and abandoned Him. Many of us live our Christian life in most un-Christian like manner. 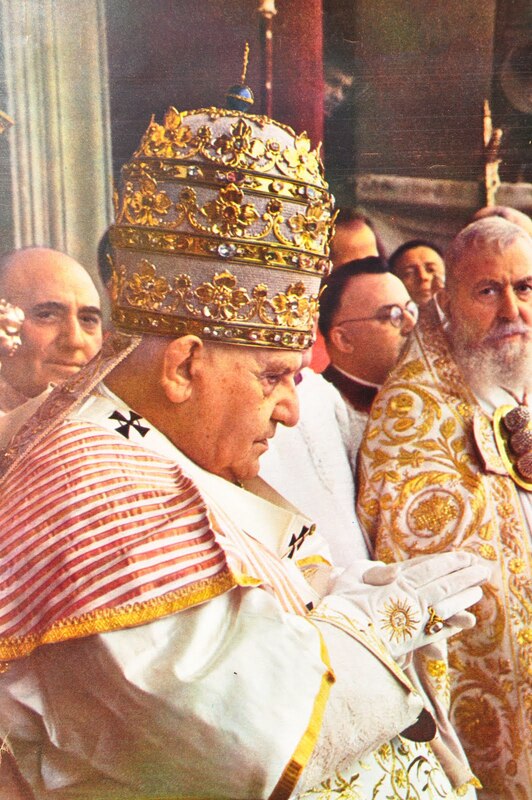 Many of us only thought of fulfilling the barest minimum of our obligations as Christians, in coming for and attending the celebrations of the Holy Mass every Sundays of the year, and not more than that. And in this case, many of us even struggled to fulfil this barest minimum of what the Lord has called us all to do. We only hoped and wished what was best for ourselves, and not wanting to make the sacrifices for the Lord. And even though we call ourselves Christians, how many of us continue to do what is wicked, sinful and unbecoming of ourselves as Christians? How many of us continue to act in manner that is selfish, greedy, condescending towards others, and being ignorant of the sufferings and troubles that others experience, often because of our own actions? How many of us continue to succumb to the temptations of the flesh and acted immorally, causing scandal within our own families and communities? Brothers and sisters in Christ, this is the sad and unfortunate reality of our world, and especially our Christian world today. Many of us profess to be faithful to God, and yet, our hearts and minds are not completely attuned and focused on Him. We are still so easily swayed by the many temptations of the world, of desire for power, glory, fame, renown, human praise and the pleasures of the body and mind, that we can easily abandon our faith or not having true faith in God, as how the Israelites and the people at the time of Jesus had done. Yet, it is to all of us, these delinquents, rebels, stubborn and hardhearted people that Christ has come, to deliver us all from all these attachments to sin and our wickedness. He, Who is King of Kings and Lord of Lords, willingly emptied Himself of all glory and honour, taking up not just the humble appearance of a Man, like us, but even more so, to be humiliated, ridiculed, rejected and made to suffer, enduring the worst of punishments, so that by all of that sacrifice and selfless giving of Himself, He may free us all from our sins and bring us to the salvation He promised us. Every wounds that had been inflicted on Christ’s body, as He endured all the unimaginably painful suffering throughout the moments of His Passion, are in fact all of our imperfections, mistakes, our sins and rebelliousness, all of our iniquities and faults, all of our refusal to obey the Lord’s will and our selfishness. Every time we sin, we are causing that wound in the Body of Christ to fester and be even more painful, even as He endured it all and bore the burden of our sins on His cross. Christ, in truth, showed us all, what it truly means for us to be Christians. First of all, all of us must be filled with love, the love for God and the love for our fellow brothers and sisters. 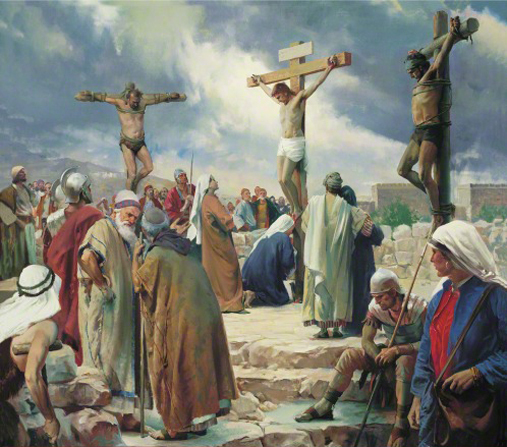 It was love for His Father and the love that He has for each and every one of us, even the greatest and most wicked of sinners, that allowed Christ to endure the bitter and terrible pain of His suffering and death on the cross. Without His enduring love and compassion for us, God would not have done everything all the way to suffer death just that all of us may live. And as Christians, we must be humble, and the greater we are, the humbler we are to be before God and men alike. For Christ Himself said, that He came not to be served, but to serve, and He showed His disciples at the Last Supper, what they ought to be doing to one another, loving one another as brothers and sisters, and to care for each other with true and genuine love. The Lord did not allow pride and ego to be in the way, and just as He rejected Satan’s advances through the temptations he attempted on the Lord, we too should cast aside our own pride and ego. Brothers and sisters in Christ, as we journey through the Holy Week, let us all delve deeper into our understanding of our faith and our own relationship with God. If all these while, we have been distant and have not been spending our time with God, because of the many distractions and temptations we faced in life, then now is the perfect opportunity for us all to reorientate ourselves and to rediscover our true purpose in life, not for our own self-glory, but rather, for the greater glory of God. Let us all grow deeper in our faith and in our conviction and dedication to love the Lord and to serve Him through our actions and deeds in life, that are pleasing to Him. Let us all also follow the Lord wholeheartedly from now on, carrying our own crosses with Him. He has called us and we should respond to His call. Let us all turn to Him with all of our hearts and with all of our might, and embrace the great love He has for us, that He was willing to suffer and die, just that we may live and not perish. May the Lord continue to bless us all and may He continue to guide us as we continue to progress through this holiest of all periods and times of this year. May He sow in us all the seeds of faith, hope and love, so that we may grow ever deeper in faith, ever more hopeful in our lives, and be ever more filled with love at all times of our lives. May God be with us all, now and always. Amen. Dear brothers and sisters in Christ, on this fifth Sunday of the season of Lent, we are just one week away from the beginning of the Holy Week on Palm Sunday, the beginning of the most important week and time in our entire liturgical year. And traditionally this Sunday, the Fifth Sunday of Lent is also known as the Passion Sunday, marking the beginning of the two weeks Passiontide period spanning the period from today to the Resurrection of Christ at Easter. At this occasion therefore, the Lord wants each and every one of us to delve deeper into the mystery of His Passion, suffering and death on the cross, as we approach the time when we will commemorate the most important events in our history, the time when God Himself willingly gave His all and fulfilled the promises that He had made with our ancestors, the promise of salvation and liberation from sin, and the promise of freedom from the tyranny of Satan and sin, and to make with us a new and everlasting Covenant. That is why today’s Scripture readings focus on the love and mercy of God being shown and made evident before us, from the promises that God made to His people through the prophet Isaiah in our first reading today, where He reminded them of the many wonderful things that He had performed and done before them, since the time of their ancestors, and how He has loved and blessed them ever since. God wanted to show His people that His love and mercy is ever trustworthy and ever good. And then, the Lord showed it firsthand through what we have heard in our Gospel passage today, when the Lord Jesus was confronted by the Pharisees and the teachers of the Law who wanted to corner and trap Him in an impossible situation, by bringing into His presence a woman who had been caught in the act of adultery, and asking Him what should be done upon that woman. Their plotting and opposition were truly sinister and wicked, and we will go through the reason why. First of all, the Pharisees and the teachers of the Law were hoping that Jesus would side with the woman who had been caught in adultery, based on how He has often spent His time in the company of sinners, people like tax collectors and prostitutes, with people who were sick with various diseases, those who were considered unclean in body and in spirit, all those who have been spurned and rejected by the society and looked down upon as sinners. And if the Lord sided with the woman, by forgiving her outright and ignoring whatever the Pharisees and the teachers of the Law had accused her for, then they could quickly seize on the opportunity and discredit the Lord Jesus, labelling Him as a friend of sinners and as a blasphemer, for allowing sin to continue to exist. This would have immediately brought a great problem for the Lord, Who would then lose His credibility, following and even trust by the people. And He could even be condemned by the authorities for such an action. But then, if the Lord so chose that He would punish the woman in accordance with the Jewish customs and laws, then the Pharisees and the teachers of the Law would also seize upon the opportunity to enhance their own position and prestige, by pointing out that in the end, the Lord Jesus was no different from them, and probably was a usurper and a fake who is trying to seize the teaching authority from the Sanhedrin or the Jewish elite, and He would have also ended in trouble for this choice of action. Clearly the Lord Jesus was trapped and cornered by the action of the Pharisees, the teachers of the Law and all those who have opposed Him. But the Lord then made a move that His enemies did not anticipate at all. He asked that the one who was without sin cast the first stone at the woman, for the punishment for adultery according to the Jewish laws and customs was stoning to death. And the people gradually left the place, beginning from the oldest to the youngest. Brothers and sisters in Christ, what we have just heard and witnessed from the story in our Gospel passage today is the sad reality of our human life and our actions towards one another. We like to point out the shortcomings and faults in others, and we want to see others fail and we find joy in causing hurt and suffering in others, just because we hate or dislike the other person, or think that we are better than them. That was how the Pharisees and the teachers of the Law were capable of doing such a heinous and wicked act, in trying to frame and discredit the Lord Jesus, by trapping Him in what was to be an impossible situation. But the Lord knew all that were going on in their minds, all their plots and thoughts, and surely, He must have been very sad to see many of His people behaving in such a way, condemning sinners and being selfish in their attitudes towards others. Brothers and sisters in Christ, we see today, the great mercy of God as we saw how Jesus was merciful towards the woman who was caught in the act of adultery. When all the people who wanted to condemn her had left, and no one threw the stone at her, the Lord told her to go and change her life, no longer sin but obeying God’s will from then on. And just as none of the people condemned her in the end, He Himself said that neither did He condemn her. This is a reminder to each and every one of us, that first of all, each and every one of us are sinners, and all of us are in need of God’s healing and help, for otherwise, sin will become our undoing. And no one can heal us from our sins, except for God. For it is He alone Who is able to forgive us from our sins and restore us to the state of grace in Him. Sin is indeed a very dangerous disease that is slowly destroying us and corrupting us from inside out, often without us realising it. And that is why, today through the passages, we are reminded to come to seek God’s forgiveness and mercy. And then, as we are all sinners, none of us have any rights to condemn and be judgmental on others, just as what the Pharisees, the teachers of the Law had done, in wanting to condemn the woman to death, and having that sinister intention to discredit the Lord Jesus by using that opportunity. That was why, the Lord Jesus said, ‘Let the one who is without sin cast the first stone’. This reminds us that before we accuse others and try to make others look bad or suffer, or punishing them for their faults, we must always try to contemplate deep in our hearts, and think whether we have sinned or done the same fault ourselves. When we point a finger to judge and demean others, do we realise that the other four fingers are pointing to ourselves? We know of one parable of Jesus, where it was said that ‘Remove first the splinter from your own eye, before trying to remove the plank from your brother’s eye’. A lot of us have this hurt and angst within us, in our relationships towards each other, to our friends, to our family members, to the members of our community, and frequently, within our Church ministries and organisations, in our parishes and in our faith communities and groups. And that is caused by the pride that we have within us, in refusing to admit that we ourselves are not perfect and we ourselves are in need of the same healing that the other person is needing. We often think that others need to change to suit what we want or what we expect of them, but how many of us actually stop to think that we ourselves are in need of a similar change in our own lives? When we allow ego and pride to take charge of our thoughts and actions, we will end up doing exactly what the Pharisees and the teachers of the Law had been doing. Let us instead follow the example of Christ, Who forgave and healed the adulterous woman from her sins. He told her to go and sin no more, and that is what we should be doing as well. God is so merciful and loving towards us, even towards His enemies, that when He was on the cross, He forgave even all those who have condemned Him. He, the Perfect One, willingly took up our imperfections and sins, and be punished for them, all because of His love and tender mercy towards us. Are we able to follow Christ’s loving examples in our own actions in life? Are we able to reach out to all those whom we have hurt and who have hurt us, and forgive each other? This is one important challenge that I think we should take up in this remaining time of Lent, as we prepare ourselves to enter into the mystery of the Passion, suffering and death of Our Lord. It is essentially all about God’s love and generous mercy towards us. Let us all look towards the cross of Christ, on the Lord crucified. Let us all look at how wounded He is, and realise that each and every one of those innumerable wounds are our own sins, that God has willingly taken up on Himself, that each and every one of us may be healed. Let us all be ashamed at our sinfulness, but with the hope that Christ will heal us from our sins, and instead of being prideful and judgmental to each other, let us all help each other to overcome the temptations of sin, and be loving and forgiving at all times, as Christ Our Lord Himself has done. May the Lord our God continue to love us, and may He continue to shower us with His love and mercy. May God guide us always in our journey of faith towards Him, each and every days of our life. And may all of us be prepared to enter meaningfully into the commemoration of Our Lord’s Passion, suffering, death and resurrection. Amen. Dear brothers and sisters in Christ, on this Sunday, the fourth one in the season of Lent, we celebrate the occasion of the Laetare Sunday, which was known from the first part of the Introit of today’s celebration of the Holy Mass, ‘Laetare, Ierusalem…’ or ‘Rejoice, Jerusalem…’ speaking about the coming of the salvation and consolation of the fallen city, which had once fallen from grace, but would once again rise in glory, by the grace of God. Therefore, this Sunday, we are reflecting on this joy that is expected to come, the joy of our Easter celebration and hope. That is why if we notice, that in today’s liturgical celebrations, the rose vestments are used instead of the typical purple of the season of Lent. This is a reminder of this joy that is expected to come, and that is why it is kind of a brief interlude and reprieve in the midst of the penitential nature of this season. While we go through this time of Lent, the time of self-introspection, evaluation, purification and self-mortification, today we remind ourselves that ultimately, all of these are for a singular purpose, and that is for us to embrace the hope in the joy that is to come, the true joy that comes with our reconciliation with God, Who loves each and every one of us, that He wants us all to be reconciled with Him, and to be forgiven from our sins. And we heard all of these in our Scripture passages today. In the Gospel passage in particular, we heard of the story and parable of the prodigal son that the Lord Jesus told to His disciples and to the people. This parable of the prodigal son is telling us of the great love that God has for each and every one of us, even though we mankind have sinned against Him, repeatedly and unrepentantly again and again. In that parable, the younger of the two sons of a rich person went to his father to ask for his inheritance, and thereafter went on to squander his inheritance and wealth in faraway land. He lived with splendour and was living immorally, until the time when he ran out of money. When he had nothing left with him, he was forced to fend for himself and everyone abandoned him. He was left all alone, suffering humiliation and hunger. In fact, his hunger was such that he did not mind to have a part of the food that the pigs were having, as he was taking care of them. But even so, no one allowed him to eat of the pig’s food. This was a sign that that prodigal son’s life and worth was even less than that of a pig, a total humiliation for any human being, and indeed, the pit of agony and suffering into which that prodigal son had fallen into. Brothers and sisters in Christ, the story of the prodigal son is the story of humanity, of each and every one of us sinners. By sin we have been cast out of God’s grace and presence, and because of the temptations of our desire and the temptations of worldly pleasures, we have been brought into this miserable and suffering-filled existence, just as the prodigal son had suffered as mentioned earlier. Yet, everything was not lost for the prodigal son, as there was still one last path that the prodigal son remembered that he could take. He remembered how his father’s servants were even living more prosperously and in better condition than he was at that time. Thus, the prodigal son was betting on the last hope he had, by going back to the father hoping that he would at least make him one of his servants. He was so humiliated and embarrassed that he almost did not want to return to his father. Brothers and sisters in Christ, this is what each and every one of us also should expect, in the one and only hope that we have, the hope in our loving God and Father. He is indeed our one and only hope, for as we can see clearly from the parable, that the prodigal son had nothing left on him and had no hope in all those things that he thought once as treasures and worthy. His friends all left him, his money failed him, his properties and goods were gone. But his father alone is his last and only hope. God is indeed our loving Father, and just as the father in the parable showed mercy and compassion for his prodigal and lost son, then God has shown us His mercy and compassion, to all of us who are coming back towards Him, with humility and the desire to be forgiven from the wicked things and sins we have committed just as the prodigal son turned back to his father in tears and regretting all that he had done. We are called today, to reflect on our own sins and our own wicked acts, those selfish and prideful, ambitious and greedy attitudes, all of the self-serving, self-glorifying and wicked actions we have done all these while in life. All of us have sinned because of these, and while some among us may not realise it, whether we have committed sinful acts small or big, or whether it is seemingly minuscule or serious, sin is still sin, and sin separates us from the love and grace of God. It was the greed, pride and desire within the mind and heart of the prodigal son that led him to take such a drastic action of demanding his inheritance and going off to a faraway country where he fell into wickedness and into the trap of desire. When our hearts and minds are centred on worldly things such as wealth, power, glory, ambition, and all sorts of other temptations, and not on God, we will crave even more and more of those things, and as a result, likely to fall deeper into the depth of sin. Brothers and sisters in Christ, many of us have been like the prodigal son in our life, and many of us have not lived our lives righteously in accordance to God’s will. Many of us are putting our hopes and ambitions on worldly pursuits, for us to be wealthier, to have more money and financial security, to have more friends and relationships, to enjoy more of the goods of this world, to be more famous and glorified by others, to gain more renown and prestige in our community, among many others. We are hoping to find joy in all of these, without realising that our true joy lies in God alone. Similarly, like the prodigal son, who thought that his happiness lies in being free in doing whatever he wanted, by getting his portion and doing everything he liked, away from the father who loved him, we too have lived in ways that embrace our own hearts’ selfishness and our own human desires, for pleasure and for the indulging of the flesh. Yet, as mentioned earlier, none of these ‘joys’ of the world will last. Those things are impermanent and temporary at best, illusory in nature and imperfect. We can never be truly happy with them, and as we have seen in the prodigal son’s story, they cannot be depended on, when times of trouble and trials come for us. In the end, there is nothing more dependable and there is no true hope but in God alone. Brothers and sisters in Christ, do you know why all of us Christians practice certain things such as fasting and abstinence during this season of Lent, and are also encouraged to spend more time in prayer, and also to go for the Sacrament of Penance by confessing our sins before the priests? 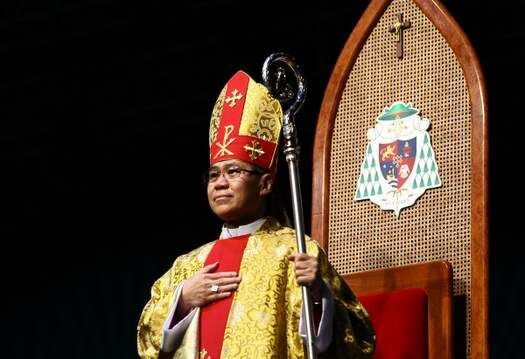 That id because, in this time of Lent, we are called to peel off from ourselves the many layers of pride, of ambition, of haughtiness and vanity, the layers of greed and desire from ourselves, and rediscover who we truly are. It is by restraining our desires and tempering our human pride and greed that we will be able to realise just how despicable and wicked our state has become, just as the prodigal son discovered at the moment of his greatest humiliation and weakness, when he had to endure a fate even worse than animals, and valued even less than animals. It is the moment when we die to ourselves in the flesh and in our worldly existence that we can finally find the way forward to God. Yet, it takes a lot of courage for us to be able to make that journey back to the Father, our loving and ever merciful God. Indeed, the prodigal son also must have had a lot of thinking and consideration before he finally mustered the courage and threw away his ego and pride, in reaching out to his father, and be willing to humble himself and beg for his father’s forgiveness. Similarly therefore, it will take us a lot of effort for us to overcome this fear, doubt and reluctance in us, for us to finally accept God’s offer of forgiveness and mercy. God offers us His forgiveness freely and generously, but more often than not, we are not able to commit ourselves to the path of mercy and forgiveness. Either we are too easily tempted by the temptation of worldly things, or we are afraid that God will be angry at us, and thus we continue to live our lives the way it has been lived, and we fall even deeper into the pit and trap of sin. That is why, today, on Laetare Sunday, after we have journeyed through this season of Lent to realise just how despicable and sinful we are, now we turn our focus for a while to look forward to where our destination is. We look forward knowing that God is awaiting us all, wanting to embrace us with love, with mercy and compassion, welcoming us back to His embrace. If we can close our eyes for a moment and imagine in our minds of the moment when the prodigal son came to the embrace of his father, can we imagine just how joyful he must have been, in gazing at his beloved father once again? And he was welcomed to his father’s house again, to be the son of the house once again, receiving what he had once lost. And that is exactly what we are going to experience, all of us, God’s scattered and lost children, all of us who have been scattered and lost because of our sins and disobedience. We are looking forward to this true joy of being reunited fully with God, our loving Father, which is the joy of the Resurrection, the joy of Easter. And now that we know what lays ahead of us, are we now willing to make the new commitment to love the Lord, our God, with all of our hearts and minds from now on? Brothers and sisters in Christ, let us all make this our commitment to live more in accordance to the path that God has shown us. Let us embrace with joy and with courage the mercy and love that He has offered so generously before us. Let us all keep strong to this hope we have in Christ, Our Lord and Saviour, Who has come to us to show us the fullness of God’s everlasting love and mercy towards us. May God show us His compassion and may He forgive us all our sins when we ask Him for this grace. Amen. Dear brothers and sisters in Christ, today as we celebrate the second Sunday in the season of Lent, we listened to the words of God speaking to all of us and reminding us of the nature of this season of Lent as a time of change and transformation, that we may transform ourselves, our lives, our actions, our habits and our every aspects, from one that is wicked and unworthy of God, into one that is good, righteous and worthy before God. This is the Covenant that God made with us mankind. The Scripture readings today began with the narration from the Book of Genesis, recounting to us the moment when God made His Covenant with Abram, the man whom He called from the lands of Ur, to become the ancestor of many nations. God knew Abram’s heart and mind, and He saw the faith and love that Abram had for Him, and that was why, He chose Abram from among all the other men and women of his time. God made a Covenant with Abram, promising him that He will always be faithful to the Covenant and the promise that He made to Abram and his descendants, that he would become the father of many nations. This was amazing considering that Abram at that time was already quite old, with a wife, Sarai, who was also equally quite old and likely way beyond childbearing age. Without a son to carry on his legacy, Abram was the unlikeliest person to be the father of many nations. And yet, Abram chose to believe in God, and placed his trust in Him. He sealed the Covenant with God with the offering of sacrifices, which marked the beginning of God’s Covenant with Abram, His servant, who therefore was known as Abraham. Abraham received the blessings of God’s grace, and from then on, became the father of many nations through his son, who also was a father of many nations. The change of name from Abram to Abraham is a significant marker in the Scriptures as the moment whenever a great change of life and a new commitment has been made. For example, Sarai also received a new name, Sarah because she was to become the mother of many nations just as Abraham became the father of many nations. Initially she did not believe that God was serious in the promises He had made, but eventually believed when a son was born to both her and Abraham, Isaac. There are many other examples throughout the Scriptures where name changes occurred, most prominently being Jacob, the grandson of Abraham, who became known as Israel after the Covenant that God had made with his grandfather was renewed and reinforced, as Israel became the progenitor of the race of the first chosen people of God. And we have more examples in the time of the Old Testament as well as the New Testament. Some of the Apostles also had their names changed indicating a great change that happened in their lives. Simon received a new name from the Lord, being called Cephas or Peter, which means ‘Rock’, as he left behind his previous identity as a fisherman of Galilee and accepting the role for which he was soon to be known, as the Rock of foundation of God’s Church. Levi similarly was called Matthew, after he left behind his tax collector job to follow the Lord. And we know of the Apostle, St. Paul, who was once known as Saul. Saul was a great enemy of the Church, persecutor of the faithful, destroyer of the communities of the Christian faithful in his many purges during the earliest days of the Church. However, when he encountered the Lord on his way to Damascus, he went through a great conversion experience, and had his life completely overturned and changed, as he embraced a new identity as God’s champion, and the defender of the faith as Paul. We have seen from these few examples, as well as many others which have not been mentioned today, how God changed the lives of many of His people throughout history. And as Christians, we too have been changed by God, through our baptism. Do we realise that at baptism we choose our baptismal names? For those of us who were born as Christians, the names have been chosen for us, while those who became Christians as adults, chose our baptismal names for ourselves. These baptismal names are taken from the names of the saints of God, God’s holy men and women, those whom the Church had deemed and declared to be good, righteous and virtuous enough, to be deserving of the glory and honour of being with God in heaven. And they are our role models in life, in how they have exemplarily lived their lives, obeying God’s commandments and living righteously in all the things they have done. We adopt the baptismal name with the names of those saints because we hope to emulate the good examples of those saints in our own lives, in turning towards the Lord with all of our hearts and with all of our minds. And through baptism, we go through a complete conversion experience, where we have been freed from our past, sinful life and enter into a new life in the grace of God. That is why through the Sacrament of Baptism, each one of us had gone through a change so significant that it heralded a new era of hope in our lives. In the second reading passage today, we listened to the words of St. Paul in the Epistle he wrote to the Church and the faithful in the city of Philippi, where he mentioned that our citizenship is in heaven, and how the Lord will transform us, in body, mind, heart and soul, in our whole being, as how His own Transfiguration, as recounted to us in our Gospel passage today, has prefigured and told us. And this is because Christ has made with each and every one of us, the New and Eternal Covenant, the Covenant of the Cross. Thus, linking this Covenant, that is True and Eternal with the original Covenant between God and Abraham, we see finally the full truth of God’s love and compassion, His care and mercy for each and every one of us His beloved and faithful ones. By His Transfiguration on Mount Tabor, He wanted us to know, through what His disciples witnessed, the ultimate fate and promise which He has given to us, to all those who have been faithful to Him. We shall be transfigured to be like Him, at the time that God appointed. Therefore, each and every one of us are called to be transfigured or changed, completely in body, mind, heart and soul, just as much as Abraham committed himself to a total change in life and attitude, and just as much as the Apostles, St. Peter and St. Matthew embraced a new life of service and faith in God, and in how St. Paul turned his life almost completely upside down by embracing the faith and the same Covenant that God had forged with us all. Yet, we must also not forget that a Covenant involves commitment and promise made between two parties, in which each one promises to be faithful and true to one another. God is ever so faithful and true to the Covenant that He has made and renewed again and again with each and every one of us, that in the Gospel today, He left behind His glorious Transfiguration, and descended down the Mount of Tabor, to go down the road to Jerusalem, where He would eventually face His suffering and death on the cross. The Lord showed us all that if we want to follow Him faithfully, then we must be prepared to, in His own words, carry our crosses and follow Him, to share in the cross that He has borne, and to suffer just as He has suffered for our sake. It is not easy to become a Christian, as we will often need to cast away our past way of life, rejecting the pleasures and excesses of the world, resisting the temptations of the flesh, and to be righteous in our words, actions and deeds, even when the world and the society around us are against us. The Lord humbled Himself and emptied Himself of all glory, so that by His humble obedience, He had saved us all through the love that He has for each and every one of us, so great that He was willing to go through such suffering, such pain and such humiliation just so that we may be saved from our fated destruction because of our sins. Are we able to do the same as He has done? He has been faithful to the Covenant that He has made with us, so are we able to be faithful to that Covenant? Brothers and sisters in Christ, that is why during this season of Lent, we are all called to retrospect on our lives and reflect on how we have acted towards one another, how we have spent our time and effort in fulfilling the commitment of our Covenant with God. Have we embraced that profound change that the Covenant of God has brought into our lives? Have we rejected the path of sin and disobedience, and resisted the many temptations found in this world? This Lent, let us all grow more generous in the giving and sharing our blessings with one another, in our almsgiving and care for the needs of those who are not as fortunate as we are, in our love and attention for those who are lonely, unloved, ostracised and rejected by the society. Let us all also resist the temptations of the flesh and of our body, by the genuine and pious act of fasting and abstinence throughout this season of Lent. Let us all grow ever closer to God, and become truly worthy to be partakers of the Covenant of God, the New and Eternal Covenant which He has made with us all, by the outpouring of His Most Precious Body and Blood on the altar of the cross, the Most Worthy Lamb of God slain for us for our salvation and redemption from sin. He has given everything for us, as the proof of His faithfulness to the Covenant He made with us. Again, are we able to do the same for Him? Are we able to give everything in our lives for Him? May this Lenten season be a turning point in our lives, the moment when we embrace the Covenant that God has made with us, and allow God to enter into our lives and transform us, completely in body, mind, heart and soul, that we become God’s holy people. May God bless us always, now and forevermore. Amen. Dear brothers and sisters in Christ, on this Sunday we listened to the words of the Lord through the Scriptures reminding all of us of the need for us to prepare ourselves spiritually as we journey through this blessed season of Lent, a time of preparation and purification of ourselves, before we come to celebrate together the sacred mysteries of the Holy Week and the glorious joy of Easter. We are all reminded of all of the sins we have committed in life because of the temptations that Satan placed before us. Today we listened to the temptation of the Lord Jesus by the devil in the desert, for forty days when He fasted from food and drink, right after He was baptised, to prepare Himself for His ministry in this world. The Lord met the devil who presented before Him three temptations by which the latter hoped to the good works of the Lord’s salvation to fail, by trying to tempt Him with the same temptations that we mankind often face in life. While the first Adam, representing all of us mankind have fallen into sin, but Christ, Who became the new Adam, showed to us all that the sting of Satan, that is sin and death, no longer has power and dominion over us. The old Adam might have fallen and failed to remain faithful, but Christ showed us all mankind what it truly means to be faithful, and He defeated Satan in what can be seen as a rematch between Satan and mankind. The first man fell, but the New Man, Christ, overcome the three temptations by which Satan had tempted us throughout time, beginning from Adam and Eve. The first temptation is the temptation of desire and selfishness, represented by the temptation when the Lord Jesus was told by the devil to turn the stones into bread when He felt hunger creeping up His flesh, just as Satan tempted Eve with the good looking fruit of the forbidden Tree of Knowledge. The devil was taunting the Lord, by saying that it is well within His power and authority to turn even rocks into bread, but that would be an abuse of His power to satisfy a selfish desire, the desire to satisfy the hunger of the flesh. This is a warning for us all that gluttony and desire of our flesh can become our undoing, unless we make the conscious effort to resist those temptations. The desire to satisfy the needs of our body can easily end up becoming an obsession and a growing craving and desire for even more, as we are often prone to fall into the temptation of wanting more of whatever good things we have already had with us. Many of us fall simply because we cannot resist the urge and the temptation of sexual pleasures and the temptations of our stomach, desiring good food and indulgences, and it is often that all these came from as simple as by looking at another person with desire, or at their possessions, and being jealous or being filled with desire to own what others have, to satisfy our own selfish desires. To us, many of us will not easily find it enough just to have some good things we have gained in life. Soon enough, we would crave for even more, as the satisfaction that comes from fulfilling all these desires of ours are not long-lasting or permanent. Instead, we continue to find ways to gain more for ourselves and we become enslaved to the desires of our flesh, and disobey God and sin as a result. The second temptation Christ faced was the temptation of glory, which imitated what Satan tempted man with, when he tempted them with the glory of the world, all of its knowledge and goodness, if they were to eat the fruits of the forbidden Tree of Knowledge. Satan presented to the Lord Jesus the whole glory of the whole world, which he said that he would grant Him if only He were to worship him as God. Jesus quickly rebuked Satan and did not fall to the same temptation, humbling Himself before His Father, despite of His own Sonhood and Divinity. We know just how He humbled Himself, that eventually, He even willingly emptied Himself of all glory and dignity, when He chose to take up the cross, bearing it upon His shoulders, taking up all the heavy burdens of our sins on Himself, and to suffer and die on the same cross, so that by His humble obedience, contrasted to the pride of man and the pride of Satan, in their respective pursuits for glory, all of us have been saved. Then, in the last temptation that Christ faced from the devil, we heard how He was brought up to the parapet or the peak of the Temple of Jerusalem, with the devil asking Him to jump down from the top of the Temple with the intent to prove that God would intervene and save His Saviour from harm. The devil did this to make the Lord Jesus fall by means of ego and pride, by testing and doubting God at the sane time, just as he has tempted Adam and Eve, to be like God if they were to eat from the fruit of the forbidden Tree of Knowledge. This is a very common temptation that we often encounter all around us, especially because pride is most often the most dangerous of all kinds of sins. It was exactly the sin of pride that caused Satan to fall from the grace of God because of his vanity of pride, thinking that his seeming perfection, beauty and glory, as the greatest and most brilliant among the Angels God had created, gave him the right to boast about his own might and desiring even to take over the place of God. Therefore, this is a sin that the devil is certainly well-acquainted with, and by which he will relentlessly assault us, to make us to fall as well into the same path towards damnation and destruction. And we easily fall into pride, to succumb to our ego and the ambitions inside our hearts. When people praise us and say good things about us, it is easy to slid into our prideful mode, and grow more and more egoistic and ambitious, thinking that we are greater than who we actually are. And in time, unless we resist this temptation, we will begin to resent others and seek only personal glory and power, greatness and good things for ourselves. We will not even hesitate to cause others to suffer just so that we can enjoy what we want to enjoy and gain what we desire for ourselves, be it prestige, wealth, standing and position in society, influence, fame, and even appearances, beauty and vanity, and many others. Even by now, we should have seen how the devil has so many means by which he is capable of attacking us with, to tempt us and even to pressure us into disobedience against God. And last of all, he tempted the Lord as he has done with us, with the temptation of worldly glory, that is to gain for ourselves everything that is good in life, the glories and wonders of the world, all of its riches and pleasures, so long as we are willing to bow to Satan and worship him. This is what happens when we are distracted and swayed by the many idols present in our lives. These idols now no longer refers to those idols of the pagan gods, made of clay or stone, wood or gold, but rather, those idols refer to the desires that we have for worldly glory, for material wealth and possessions, for luxury in many forms, for indulgences and practices that kept us distracted in life and preventing us from living our lives as true Christians. We may say that we are Christians and we love God, and we may think that we worship Him and serve Him alone, but as long as our actions in life show that we prefer to follow the path of worldliness, the path of selfishness, entertaining our greed and desires, satisfying our ego and pride, all that Satan has tempted the Lord Jesus with, then we are not true disciples and servants of out God. Instead, as long as we persist in walking down this path, we are the followers of Satan. How should we then carry out our lives from now on, brothers and sisters in Christ? As long as we allow ourselves to be swayed and to be tempted by the devil, we will not be able to proceed down the path towards the salvation in God. And the best way forward for us is to listen to the Lord and follow His example, in how He Himself has resisted the temptations of Satan, to the very end. He withstood the assaults of Satan through love and obedience to His Father, reminding us that we need to listen to the word of God, and put our trust in the words of God, rather in the words of Satan, the deceiver and enemy. This is the key essence of what each and every one of us as Christians must do in order to break out of the traps which Satan had laid down before us, through his many temptations. If we are able to put God back at the centre of our lives, then Satan will no longer have power over us, for God will become the source of our strength and He will be our foundation in life. And in order to do this, we need to have a profound change in attitude in our own lives, from one that is selfish, self-glorifying and self-indulging, into one that is selfless, filled with love and care for others, and self-mortification. Remember, brothers and sisters in Christ, that our primary goal in life is truly to serve the Lord and to glorify His Name, by all of our actions and deeds in life instead of to glorify ourselves. If we live only to glorify ourselves and serve our own purposes, then we must remember that our earthly life is limited, and no matter how much power, glory, wealth and worldly bounties we enjoy now, or plan to enjoy, the moment our earthly lives come to an end, or when disasters strike and destroy our hard earned worldly things, which are impermanent and temporary, what else will we have? Brothers and sisters in Christ, we have to follow the examples of Our Lord Jesus Christ, the new Adam and model for us all mankind, and He is calling on us to take up our crosses in life, and follow Him. We have to commit ourselves to endure the same cross of suffering that He has borne for our sake. And if the devil has struck so hard against the Lord, again and again, by stirring up the Pharisees and others who opposed Him, many times, causing so much difficulties and problems, then we can expect to encounter the same opposition, challenges and hardships in life. This is why in this season of Lent, we are called to renew our commitment to the Lord, to turn ourselves once again to God. There may have been many occasions when we have been tempted to turn away and to give up our faith, but we must persevere on, or otherwise, we will fall into damnation with the devil, and the way forward for us is only through the Lord. Let us all carry our cross in life with faith and conviction, knowing that in God alone we have hope and true assurance. God will be with us, and He will guide us through this difficult journey. Let us all learn to rid ourselves off all the wicked things by which the devil has tempted us with, the allures of pleasures, especially that of the flesh, the temptation of greed, and the stubbornness of pride. Instead, let us put God at the centre of our lives once again, and fill our lives with obedience and love for Him. May the Lord continue to bless us and our works, and may He continue to watch over us. May all of us have a meaningful and fruitful season of Lent. Amen. Dear brothers and sisters in Christ, on this Sunday we listened to the words of the Lord speaking to us with regards to the matter of our expression of faith, and how our lives ought to be bearing good fruits, the good fruits of our faith in God. Throughout the readings from the Scriptures we have heard today, surely we can recognise the intention of the Lord when He spoke of how good fruits come from good trees, and conversely, bad fruits from bad trees. First of all, we ought to examine what the Lord Jesus told the people about His parable highlighting the example of a person who wanted to remove the speck or splinter in another person’s eye, and yet, that person failed to realise that there was a log in his eye all along. This is likely mentioned as a rebuke to the Pharisees and the teachers of the Law who were in attendance among the people listening to the teachings of Jesus. That is because the Pharisees and the teachers of the Law often acted in ways where they were quick to judge on actions by others which they deemed to be not on par with the standard which they demanded, in the matters of observance of the laws of the people of Israel. But they themselves did not realise that their limited understanding and in fact, misunderstanding the true purpose and intention of the Law, was a great shortcoming and flaw in their way of life. Yet, when the Lord pointed all these things before them, they were quick to go to the defensive mode, and resisted the Lord’s efforts to deliver the truth to them. And in fact, they became even more stubborn in refusing to listen to the Lord despite His repeated attempts to do so. That is because of the pride and ego in their hearts, as well as their many attachments to worldly desires, for affluence, for power, for glory and wealth. That is exactly what we have just discussed earlier, how bad fruits come from bad trees just as good fruits come from good trees. What this means is that, as long as the heart and the mind, that is our internal selves are not in the right condition and status, and are not attuned to the will of God, then most likely our actions, and the words that come out from our mouth will not be in accordance with what we are expected to do as Christians, that is as God’s followers. This is something that the farmers and most people of the time of Jesus would have understood, and that was why He used such a parable to deliver His idea to them. The farmers would have known that bad trees ultimately does not just come from nowhere. There can be many reasons why bad trees come about. It can be from the bad seeds, or more commonly, even if the seeds were good, but they were not grown with the right conditions, the good seeds would become bad trees too. And inevitably, bad trees will produce bad quality fruits, and in the end, the whole existence of the tree becomes meaningless. In agricultural terms, trees that do not produce good fruits are good for nothing, and instead of taking up the precious nutrients, they are uprooted and destroyed, replaced with another tree that is healthier, better and produce good fruits. Thus, it will be the same with us, if the Lord comes and asks for reckoning of our lives. What does this mean, brothers and sisters in Christ? It means that our lives are just like that of the trees mentioned, and our lives produce its ‘fruits’ that is our actions and our words, in how we deal with one another. And how we act depends on how we have been internally disposed and oriented in our spiritual and mental outlook. Thus, we will find that a person who is good and kind in heart is unlikely to do things that are wicked or evil, and vice versa. How do we then produce good fruits in our lives? First then we must be properly aligned with the ways of the Lord, that we truly become like the good trees. But even good trees can turn bad when they are not properly maintained and managed, and that is what happens when we continue to expose ourselves to wicked practices and habits, which are like poisons that seeped into the plants that make even good trees into bad ones. I am referring to every moments that we gossip negatively about others, every moments when we are jealous about each others’ achievements and possessions, every time we cause hurt when we say nasty things to each other, every moment we are overcome by our ego and pride, in not wanting to share our fortunes and blessings with those who are needy, poor and weak in our midst, every time we fail to stand up for the sake of the oppressed and the marginalised in our society. As we are all frail human beings, prone to sin and easily tempted by these wicked things, it is inevitable that we will stumble at times, and do all those wicked manners mentioned. However, unless we make the conscious effort to resist those temptations and not to give in to the demands and pressures of our pride, ego, greed, ambition and desires, we will likely end up committing more and more of such sinfulness. Brothers and sisters in Christ, today we are all reminded that bad trees that produce bad fruits are meaningless and useless, and will be destroyed. And hence, the same will happen to us, if we continue to live our lives in sin, and that was what St. Paul wrote in the Epistle to the Church in Corinth, our second reading passage today, that the sting of sin is death. And this is eternal death, total and complete separation from God’s grace and love. Yet, in the same passage, St. Paul wrote that sin and death no longer have any power or dominion over us, if we put our faith in Christ, Our Lord and Saviour. The Lord has triumphed over sin and death, and He gave us the assurance of eternal life and glory, if we have faith in His love and providence, and if we can put our trust in Him. He has shown us the way, how we can nurture our lives in a good way, and bearing good fruits of life. To each and every one of us, God has given us the gift of the Holy Spirit. And we are taught that there are fruits of the Holy Spirit that we can bear forth, if we make use of the gifts that God has given us, obeying His commandments and listening to His will. And each and every one of us must realise this calling that we have received, to be bearers of the good fruits of faith in our daily lives. Therefore, brothers and sisters in Christ, let us all from now on change our perspective and way of life, that if once we have not borne good fruits in our lives, and have borne wicked and evil fruits of sin by our actions, then from now on let us cease producing those wicked fruits and turn instead to produce good fruits by a profound change in our attitudes in life, from sin into faithfulness, from hatred and jealousy into love, from selfishness into selflessness. Are we willing to make that profound change in life? It will not be easy for us to commit to the ways of the Lord, but with effort and commitment, with dedication and hard work, we will be able to overcome that stubborn attachment we have to sin, and enter into a new life filled with God’s grace and love. All that we need is the desire and the willingness to persevere through the challenges we may encounter if we keep our faith in God, and remain in God’s love always. Brothers and sisters in Christ, just as it is not easy for a farmer to grow a tree and maintain it in good health, until it can produce its good fruits, it is therefore not easy for us as well to produce good fruits in life. We are called to persevere through the challenges and the sufferings we may have to encounter for God’s sake, as in the end, our rewards will be rich and wonderful, nothing less than an eternity of true joy and happiness with God. May the Lord continue to guide us through our lives, that we may keep to our faith in Him, and remain devoted to Him at every single moments of our life. May the Lord be with us all, and may He bless all of our good works, that we may always bear good fruits, at each and every moments of our life. Amen.